I was talking with a broker friend of mine a few days ago about something I’ve often seen advertised by forex trading companies. If you’ve been sifting through the muck of forex broker websites, you might have noticed something called a deposit bonus. At first glance, the deposit bonus is very similar to the signing bonus some companies give you when you get hired. It’s basically extra incentive for you to choose that particular company as your broker. Well, as my broker friend explained, the truth is a bit more complicated than that. You see, forex brokers aren’t just giving you money from the kindness of their hearts. Companies offer these bonuses for a reason, mainly to entice people to trade more. These deposit bonuses are added directly to your account and cannot be withdrawn until certain conditions are met. These conditions often involve trading a certain number of lots. Since forex brokers make money when you trade, they are more than willing to offer these deposit bonuses, since they will always benefit in the long run. If you don’t achieve these conditions, then these bonuses only exist virtually in your account. Aside from the conditions, deposit bonuses also have a psychological effect on traders. A 30% deposit bonus gives the illusion that you have 30% more to trade with. Thinking that you have more than actually possess, you’ll trade recklessly, with larger amounts. It’s a subtle way of manipulating the inherent parts of human nature that relate to money – greed, material enrichment – it’s all part of the plan. That’s not a problem when you’re always winning your trades, but in the circumstance that you do lose enough, you might find yourself withdrawing far less than what you expected when the (non-withdrawable) deposit bonus is deducted. Some might even be tempted to trade more in an effort to reclaim some of that money. If you’re not careful, it can become a vicious cycle which results in brokers making money, and you losing it. For experienced traders who utilize a good strategy in forex trading, then these bonuses can be an additional source of leverage. For those starting out however, it’s more likely that the deposit bonus will turn out to be a mirage. It’s a good marketing tactic, but it doesn’t necessarily mean that it’s a good deal. Deposit bonuses aren’t inherently bad, nor are they a trick. 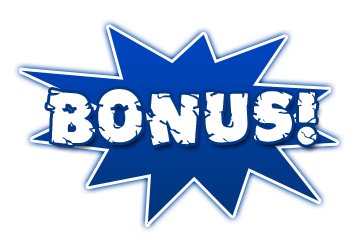 After all, brokers clearly lay out the conditions in which you can avail of these bonuses. And make no mistake, you CAN actually benefit from the deposit bonus if you’re a prolific trader who is aware of everything that’s going on with your account. The bottom line is to be aware of what a deposit bonus is, and why they shouldn’t be the main factor when choosing a forex broker.